CES, the annual consumer electronics and tech show that takes place in Las Vegas, sets the tone for major shifts and developments in the consumer electronics world. Though increasingly, CES has become a forum for non-technology companies to present how they’re leveraging technology to deliver unique value to consumers. This year’s presentations ranged from keynotes from companies like Carnival, the largest cruise company in the world, announcing their Ocean Medallion (designed to facilitate more custom experiences for guests), to announcements by all the major automotive companies on how they’re looking to create their version of an autonomous future. Here is a quick review of some of the major shifts we’re seeing in the world of consumer electronics, and resulting opportunities for innovation. The mainstreaming of fitness trackers and the ‘quantified self’ means CES was full of companies ready to expand into every facet of consumers’ lives – from baby and pregnancy wearables, to smart hair brushes and toothbrushes. The first wave of smart products was focused on the quantification of every movement, habit and activity, the second emerging wave is the combination of quantification with IOT and always-on connectivity. What does this mean for innovators? A whole host of services and experiences could become automated as real-time knowledge anticipates needs and delivers personalised solutions in everything from emergency healthcare to dining. Innovators need to start thinking about consumer engagement models that account for this real-time knowledge of product use and consumer experience. Consider the range of new habits, occasions, and behaviors that could be created through smart connected products. According to many pundits, Alexa won CES, mainly because of how quickly it has become the voice UI of choice for a multitude of devices and has been integrated into everything from cars, to robots, to the home. Voice as a UI is going mainstream. However, this is part of a broader emergence of natural human senses becoming central to how we communicate with technology – from touch, to voice, and next to gestures. As the embedding of IoT sensors becomes standard across the home and at work, how machines take instruction is going to continue to become more humanized. Businesses need to understand that this shift toward natural interfaces will forever change consumer expectations on how to interact with systems. Consider the way we gave up on the rotary phone to move towards touch. Or the way we transitioned to wireless networks from ethernet cables. Human interfaces mean consumers will expect to have intelligent conversations with their machines everywhere through voice, touch, and gestures. This opens up a whole new ecosystem of apps and products that beyond the screen, providing innovators with an opportunity to create interaction models where information and experience is completely cloud-based virtual and augmented. 3-4 years ago, the only reason you’d see cars at CES was so that companies could show off their infotainment systems. Today, cars are the way future technology is showcased – from how we live and travel, to development in battery technology and new user interfaces. Cars are becoming a powerful space and occasion for consumers. The auto industry is no longer focused on mechanical features like horsepower or mileage, which historically only giants like GM or Toyota could win. The spotlight is on the in-car experience, from the quality of the in-car user interface to how it looks after the rider’s health. With basic mobility taken care of, the category is wide open for companies both in and outside of traditional auto to reimagine the very purpose of cars. Do they remain a means of transport? Or do they become a platform to enable experiences as you travel? If you haven’t already seen the video showing a Tesla avoiding a car accident in real-time, watch it now. Autonomous driving is no longer a pipe dream of something that might happen in the future. It’s alive, living and breathing amongst us, and a multitude of players at CES were trying to get in on it: from chip makers to OS companies, from battery companies to city governments. Every auto manufacturer at CES announced their version of an autonomous future, with many vying for the middle ground between now and a fully autonomous world. The focus on autonomous cars assumes that the next breakthrough will come from within the auto industry. However, the acceptance of autonomous transport has actually shifted the focus from simply delivering autonomous cars to developing autonomous mobility solutions. Already, we’ve seen the development of drones that can transport people. The movement of people and things is no longer the birthright of auto companies. This democratization of mobility creates opportunities for everyone from Walmart to Uber to develop their own mobility solutions, which might not even resemble cars. CES was full of robots. Small ones, big ones, cute ones, and ones with no faces. Apart from functional roles – vacuuming and mowing the lawn – the other major shift is the integration of personal assistants. Enter the Alexa-enabled robots. A robot in the home has been the promise of technology since Karel Čapek coined the term Robota in 1920. The use of robots in industry is certainly mainstream – from Amazon warehouses to Foxconn factories – but there is still major growth on the horizon for robots in the home. However, they need a defined space and purpose. Key questions to answer include: What jobs will consumers outsource to robots? What in-home appliances can be replaced by multi-function robots? What impact will robots have on industries from restaurants and food delivery to household products? Who do companies design for – consumers or robots? Do we need to create B2R (Business to Robot) businesses? Finally, how can companies monetize the extra time this leaves consumers? Drones are becoming cheaper and expanding into other forms of leisure beyond video capture. With follow-me technology and miniaturization, we’re seeing more drones of various shapes and form – mostly still focused on video capture, but expanding toward activities like drone racing. As drones become smaller, smarter, and cheaper, the home could become their new playground. While current Alexa-powered static devices merely spit out information, smart drones could leapfrog these devices to become omnipresent assistants that are able to move around the house unencumbered by obstacles, providing both information and assistance in actual tasks that require movement. We saw plenty of VR companies presenting everything from new headsets to truly immersive environments – but the sight of two people gesticulating wildly into thin air as they battle it out in the virtual world still remains very surreal! - The combination of VR with additional apparatus designed to further push the body via taptic response wearables and setups that go beyond the walking experience to flying and beyond. - The development of live VR. The ability to stream live content in VR format will change how we consume and participate in the live entertainment economy – from passive observers to being on the field. VR has been dominated by the visual. As this trend shifts to include other senses and combines with live telecast, VR becomes a powerful tool for innovators to leapfrog the current paradigm in everything from retail to live entertainment, from cinema to education. However, Augmented Reality (AR) may break through as the omnipresent technology – easy to integrate with existing hardware, not requiring complete immersion and extensive hardware, but still enabling an enhanced experience. Innovators need to explore how companies will shift from using VR and AR solely as a visual overlay for consumer content, to embracing it as a sensory overlay. For instance, consider how taptic and force-based reactions could be embedded to instruct and direct consumers in industries ranging from manufacturing to education. 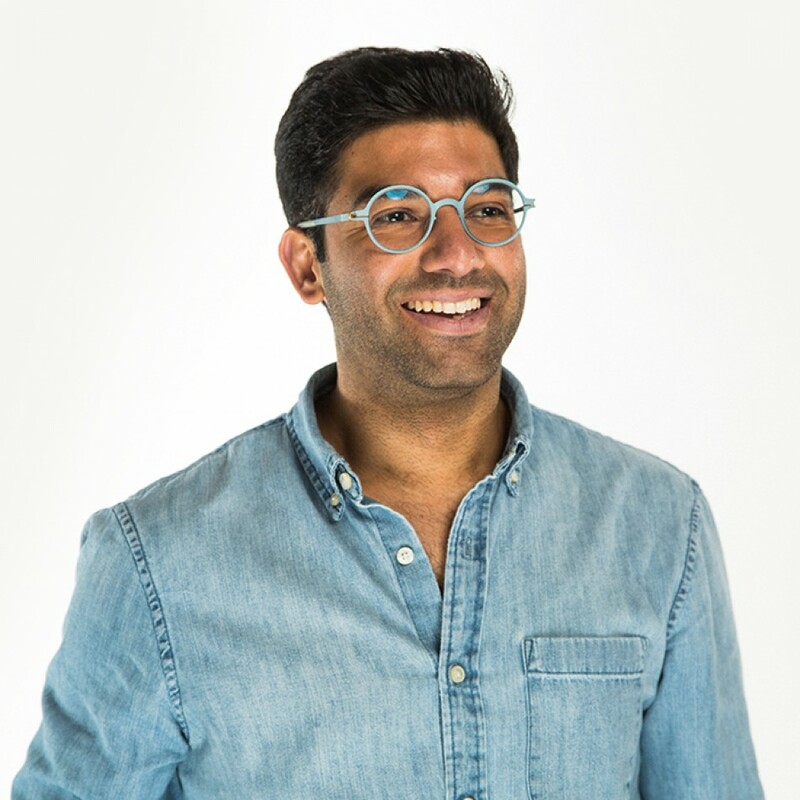 Sid is an Engagement Director with Fahrenheit 212’s Strategy team. With a varied career across 3 continents, Sid brings with him a passion for building businesses and developing breakthrough innovations that solve big problems.